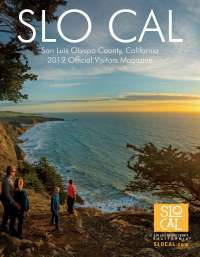 Visit San Luis Obispo County, the county-wide destination marketing organization, is excited to announce the new consumer brand SLO CAL. SLO CAL will represent the countyâ€™s broad variety of tourism experiences utilizing a new logo, brand promise, photos and videos which will be incorporated into advertising, public relations, social media, the website, email marketing and SLO CAL blog. The consumer-facing brand will be mirrored by an organizational transition from Visit San Luis Obispo County to Visit SLO CAL. Visit SLO CAL organization brand. New logo everywhere - online, in advertising, in emails, etc. tourism on our countyâ€™s economy. In order to create a seamless experience for those engaging with the targeted advertising, SLO CAL has also launched a new landing page at SLOCAL.com. The interactive, responsive webpage takes users on a virtual road trip through the county, showcasing the many destinations, iconic features and unique travel experiences. In 2016, Visit SLO CAL conducted two consumer research studies, a Share of Wallet and Demographic Study and a Feeder Market Awareness Study. In total, over 2,200 consumers were surveyed to gauge the awareness and perception of San Luis Obispo County as a tourism destination.The research was presented to locals and our agency of record to craft a brand that would resonate with consumers. Visit SLO CAL invited over 900 county stakeholders to be involved in interviews and meetings, the feedback from which was combined with that of the Marketing Committee, Board of Directors, staff and agency to develop brand concepts. The brand concepts were then shared and tested â€“ both locally and in our key target markets â€“ to ensure the final brand and logo accurately represented our destination and effectively engaged potential travelers. The resulting SLO CAL brand establishes a geographical location for the county, while at the same time representing the pace of life and personality of the location. The new brand evokes a feeling of relaxation and freedom to take life at your own pace. The Visit SLO CAL marketing strategy continues to focus on building a brand platform for SLO CAL; growing awareness of the SLO CAL brand and destination; developing a stronger and deeper engagement with visitors and driving demand for visitation to the county.